"Maybe they will need to issue a curfew. Maybe the trouble will last a few days. But the army is everything in this country. And they are taking control." At least 24 people died across Egypt on Friday as Islamists opposed to the overthrow of President Mohamed Mursi took to the streets to vent their fury at what they say was a military coup. 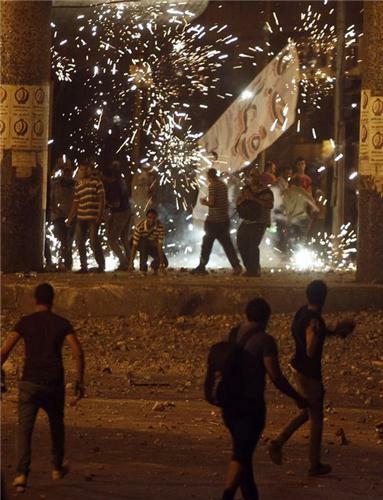 Fierce clashes in the Mediterranean city of Alexandria left 12 dead and 200 injured, while in Cairo, five people were killed as pro- and anti-Mursi protesters ran amok in central areas and armored personnel carriers rumbled among them to restore calm. Five police officers were gunned down in separate incidents in the North Sinai town of El Arish, and while it was not clear whether the attacks were linked to Mursi's ouster, hardline Islamists there have warned they would fight back. Egyptian central bank governor Hisham Ramez said on Saturday he would remain in his position following the overthrow of President Mohamed Mursi, and denied a report he would be named prime minister. "I will not be the prime minister," he told Reuters. "I am staying on as the governor of the central bank, which is a very important role. I am not a politician." Since his appointment in January, Ramez has won respect from financiers as he has negotiated on a still to be finalized loan from the International Monetary Fund. Following the military's removal of Mursi on Wednesday, an interim government of technocrats is expected to be announced in the coming days. 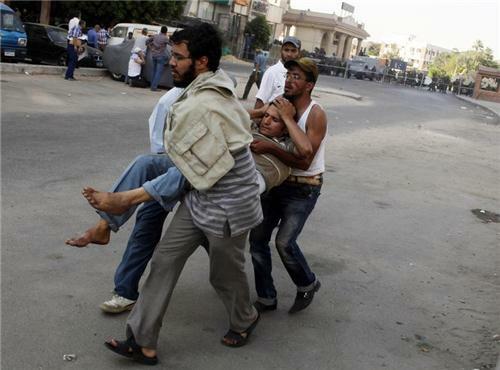 Twelve people were killed in clashes in the Egyptian city of Alexandria on Friday, Amr Nasr, head of emergency services in the city, said. 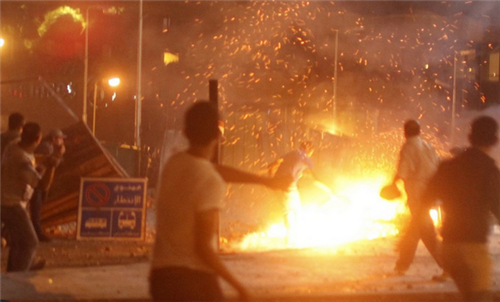 He also told the state news agency MENA that around 200 were injured. Most of the fatalities were from gunshot wounds. A deputy leader of Egypt's Muslim Brotherhood, former presidential candidate Khairat El-Shater, has been arrested, security sources, his party and state news agency MENA said on Saturday. Security sources said Shater, a wealthy businessman seen as the movement's main political strategist, was taken into custody on suspicion of incitement to violence. 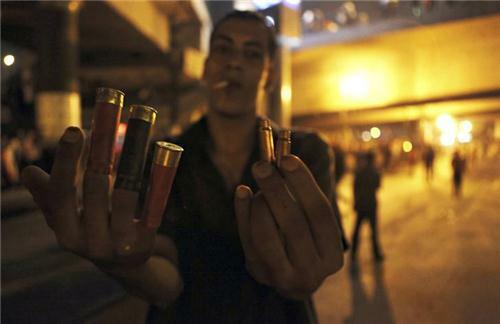 He was arrested at his apartment in Cairo. Among the Brotherhood's best known public figures, Shater was the latest of several of its leaders to be taken in since President Mohamed Mursi was overthrown by the army on Wednesday. Mursi was propelled into the presidential campaign last year when Shater was disqualified on the grounds of a past criminal conviction. CAIRO, July 5 (Reuters) - The interim Egyptian head of state who was appointed after the army ousted President Mohamed Mursi dissolved parliament by decree on Friday, state television said. 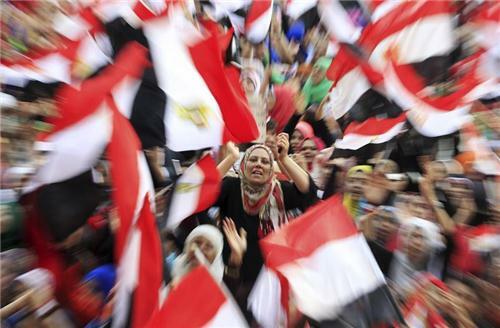 Only the upper house, the Shura Council, had remained active after the lower house was dissolved by military-led authorities shortly before Mursi was elected a year ago. State TV also said that Adli Mansour, the constitutional court chief justice sworn in as head of state on Thursday, had appointed Mohamed Ahmed Farid as head of intelligence. He replaces Mohamed Raafat Shehata, a Mursi appointee, who becomes national security adviser to Mansour. 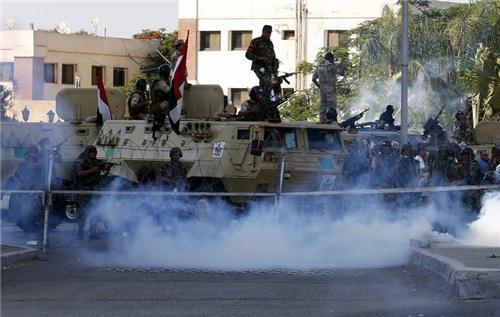 CAIRO, July 5 (Reuters) - Egyptian troops and Islamist supporters of deposed President Mohamed Mursi clashed in three cities on Friday - El-Arish in North Sinai and Suez and Ismailia on the Suez Canal - witnesses and security sources said. 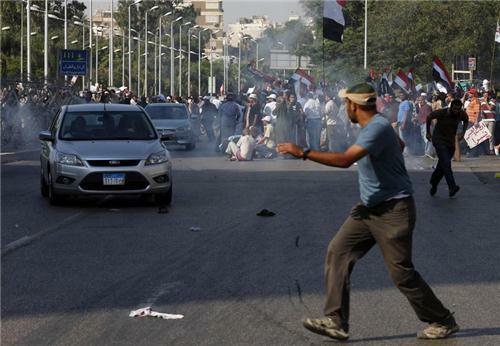 Protesters tried to enter government buildings in all three towns. 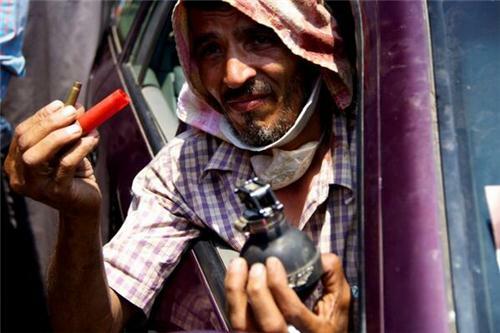 Some threw rocks and troops responded by shooting in the air and firing teargas into the crowds, security sources said. 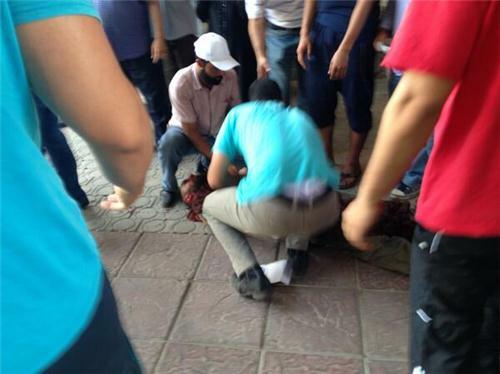 Much anger at site of killing of MB protestor #cairo. More people arriving from Rabaa al Adawiya direction. 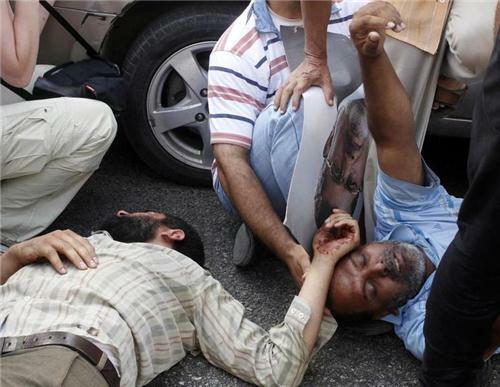 CAIRO, July 5 (Reuters) - At least three demonstrators were shot dead by Egyptian security forces on Friday outside the Republican Guard barracks in Cairo where deposed Islamist President Mohamed Mursi is being held, security sources said. 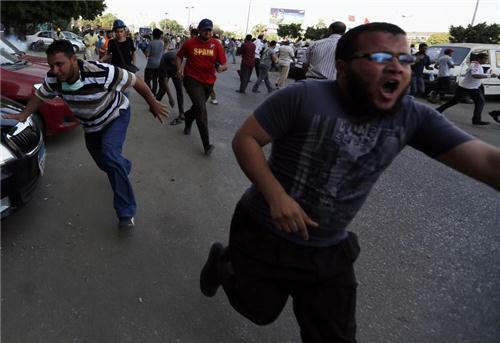 Mursi supporters had approached the compound. CAIRO/LONDON - Egypt's ports and its strategic Suez Canal were operating normally on Friday with no disruption to cargo traffic, two shipping sources and a canal official said. "The movement of ships was not affected by the Sinai attacks," Mohab Mameesh, head of the Suez Canal Authority, said. He said 48 ships had passed through the canal on Friday. Egypt's army announced a state of emergency in the provinces of South Sinai and Suez on Friday after Islamist gunmen attacked an airport in the Sinai town of El Arish, state newspaper Al-Ahram reported. "Ports are open and operating normally. Nothing has been affected at Alexandria, Damietta, Red Sea ports and the Suez canal for now," a shipping source in Egypt said. "Everything is normal in the Suez canal ... Suez itself is secure, and there is no effect on Port Said, Suez, Ismailia or the east bank of the canal. All have huge troop deployments that have not been seen for a long time. Transit through the canal is also unaffected,” another source said. ADDIS ABABA (Reuters) - The African Union on Friday suspended Egypt from all its activities after the Egyptian military overthrew the elected president, Mohamed Mursi, a senior AU official said. Suspension is the AU's usual response to any interruption of constitutional rule by a member state. "As mandated by the relevant AU instruments, the African Union Peace and Security Council decides to suspend the participation of Egypt in AU activities until the restoration of constitutional order," Admore Kambudzi, Secretary of the Peace and Security Council, said after a meeting. CAIRO (Reuters) - Egypt's army announced a state of emergency in the provinces of South Sinai and Suez on Friday after Islamist gunmen attacked an airport in the Sinai town of El Arish, state newspaper Al-Ahram reported. The report quoted the commander of the Third Field Army Osama Asakar saying that the "state of readiness" had been raised to its highest level in the two provinces due to the attack. The attack, the latest of a string of security incidents in the lawless region, came two days after the overthrow of Islamist President Mohamed Mursi. It was not clear if the attacks were coordinated and in reaction to his removal. 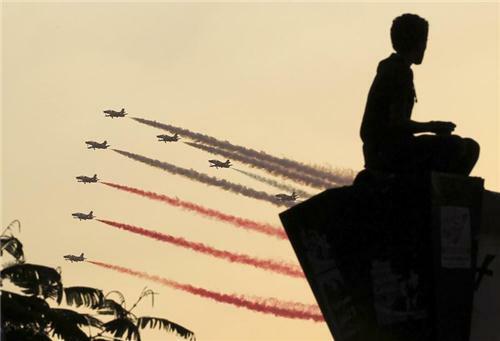 CAIRO, July 4 (Reuters) - An Islamist coalition led by the Muslim Brotherhood appealed to Egyptians on Thursday to demonstrate across the nation in a "Friday of Rejection" against a military coup that ousted elected President Mohamed Mursi. The National Coalition in Support of Legitimacy "calls on the Egyptian people to take to the streets and mobilise peacefully" after Friday prayers "to say 'No' to military detentions, 'No' to the military coup". The call was issued at a news conference at a mosque in suburban Cairo where Mursi supporters have staged a sit-in since last week. Troops with armoured vehicles have surrounded the area since Wednesday, when Mursi was toppled, but have not intervened to clear the protesters. DOHA/DUBA, July 4 (Reuters) - Qatar joined other Gulf Arab states in welcoming Egypt's interim ruler on Thursday in an apparent attempt to salvage diplomatic prestige after the ousting of Cairo's Islamist government which it had backed with billions of dollars in aid. Qatar has been a regional maverick for its support of Arab Spring revolts and its aid to Muslim Brotherhood rule in Egypt alarmed neighbouring Gulf dynasties who see the Islamist group as a potential threat to their own hereditary authority. Qatar had extended $7.5 billion in loans or grants to Egypt since a revolution toppled veteran President Hosni Mubarak in 2011, providing much of it during the administration of Mohamed Mursi, an Islamist elected in June 2012. NAIROBI, July 4 (Reuters) - Events in Egypt, where an elected Islamist president was ousted by the army, showed that power only comes from force, not democracy, Somali militant group al Shabaab said on Thursday. Al Shabaab ruled Somalia until African Union troops drove it out of the capital and other centres over the last two years, but it still controls swathes of rural areas and launches regular guerrilla-style bombings and attacks against the government, United Nations and others targets. "When will the Muslim Brotherhood (MB) wake up from their deep slumber and realise the futility of their efforts at instituting change," al Shabaab said. The Brotherhood spent much of its eight-decade history as a secretive organisation facing repression from Egypt's rulers, but emerged as the most organised political force after President Hosni Mubarak was ousted in 2011. CAIRO, July 4 (Reuters) - Egypt's pound strengthened suddenly on the black market on Thursday to 7.30/35 to the U.S. dollar from 7.60/65 earlier in the day, a trader said. Other markets have improved a day after the military pushed the country's Muslim Brotherhood president out of power, including the stock market, whose main index shot up by 7.3 percent. The pound had earlier strengthened marginally on the official market after a central bank auction, its first such increase since a currency crisis in December. Traders said prices of Egypt's international bonds were quoted sharply higher, by several cents on the dollar. Turkey calls Mursi's removal "unacceptable coup"
ISTANBUL, July 4 (Reuters) - Turkish Foreign Minister Ahmet Davutoglu on Thursday said the army's overthrow of Egyptian President Mohamed Mursi was a "military coup", and "unacceptable". "The removal of President Mohamed Mursi, who came to power through a democratic election, by the intervention of the Egyptian army is an extremely worrying situation," Davutoglu told reporters in Istanbul. "Leaders who come to power with open and transparent elections reflecting the will of the people can only be removed by elections, that is, the will of the nation," he said. "It is unacceptable for a government that has come to power through democratic elections to be toppled through illicit means and, even more, a military coup." 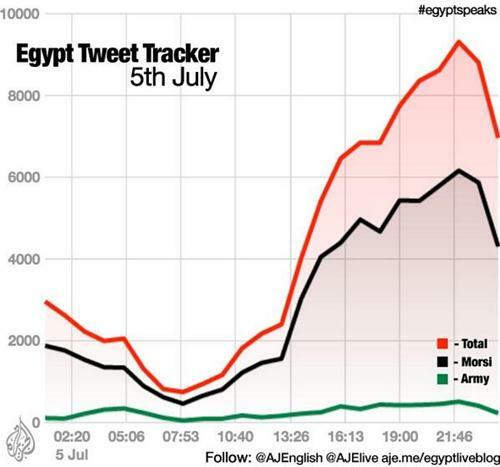 The response by Turkey's government, which like Mursi's Muslim Brotherhood has Islamist roots, appeared to be the strongest foreign reaction so far to Mursi's overthrow. The United Nations, the United States and other powers have stopped short of denouncing the move as a military coup; to do so might trigger automatic sanctions. Deputy Prime Minister Bekir Bozdag said the coup had destroyed Egypt's fledgling democracy and national will, and hit out at the responses from Western capitals. "There are no opposing statements from the West ... which always advocates democracy, national will, human honour and freedoms. Where is the sincerity?" Bozdag tweeted. Turkey was rocked by weeks of its own protests last month when a small effort to save an Istanbul park from redevelopment mushroomed into a mass demonstration by tens of thousands of people opposed to what they see as Erdogan's authoritarian rule. While those protests were dwarfed by the millions of people who have taken to the streets in Egypt this week, they were the biggest public challenge to Erdogan's 10-year rule. Erdogan, who has so far remained silent over the recent unrest in Egypt, has dismissed protesters at home as pawns of Turkey's enemies and said they were manipulated by "terrorists". Erdogan was due to discuss Egypt with Davutoglu and other officials later on Thursday. Turkey's response is at least partly shaped by its own history of having experienced military coups in 1960, 1971 and 1980. In 1997, Turkey's first Islamist government, led by Necmettin Erbakan was also pushed from power by the army in what was widely dubbed a "post-modern coup". Erdogan's AK Party, founded in part by members of Erbakan's Welfare Party after it was outlawed, has sharply curbed the influence of the military since coming to power in 2002. Last month, Ankara moved to amend an article of the armed forces charter cited by generals in the past to justify coups.